Motor vehicle crashes are the number one killer of children aged one-19 years. Ninety-four percent of Nebraskans use child safety seats, but nearly 85 percent of those seats are installed incorrectly. .
Buckling children in age and size-appropriate car seats, booster seats, and seat belts reduces serious and fatal injuries by more than half. If you transport children, make sure their seats are installed correctly and they are the appropriate seats for their height, weight, age and developmental stage. Read the manuals of the child restraint and vehicle for correct installation. Child restraint manufactures have video instructions on their websites for assistance. The best way to know you are doing it right is to have your seat checked by a certified Child Passenger Safety Technician- click here to find one in your area. 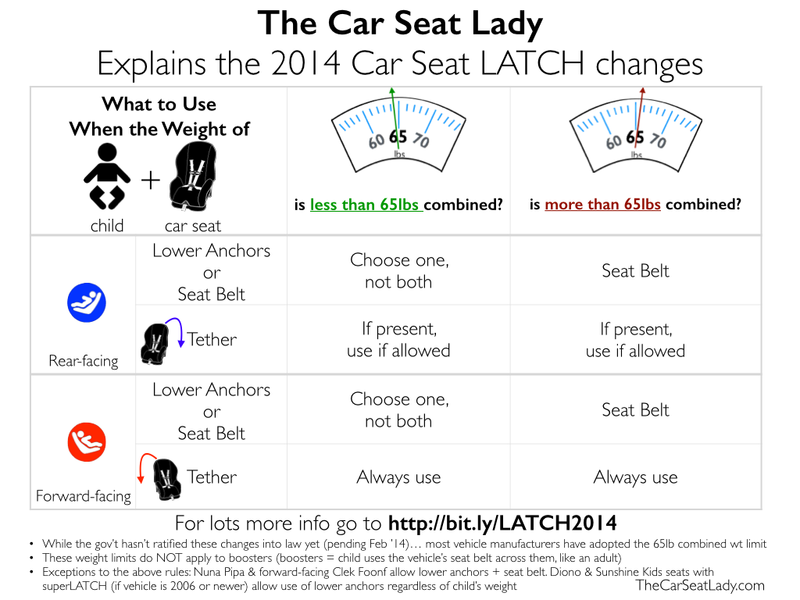 What are the LATCH changes that took effect in February 2014? Why is it recommended to keep a child rear facing until at least two years old? How do I become a Child Passenger Safety Technician (CPST)?